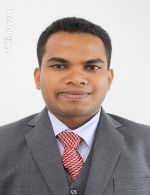 Rajamahender Rapelly is currently pursuing his Post Graduate Degree in Business at MISB Bocconi, India. Rajamahender holds a Bachelor’s of Technology degree in Electronics & Communication Engineering and has 2.6 years of work experience in the field of Railway Signalling. During his professional experience, Rajamahender has coordinated with different clients assisting in the design, installation, integration and maintenance of Indian Railway projects. Research interests: Project Management, Projects execution and control, PM in global and multi-national contexts, PM in Railway industry, Supply Chain and International logistics, Operations management. To learn more about Rajamahender Rapelly, click here. Share the post "Rajamahender Rapelly"